The Pandora Society » “Now You See Me 2” – Review with Stixen Stones! “Now You See Me 2” – Review with Stixen Stones! Do you enjoy movies about magicians with daddy issues? No? Me neither! Spoilers lurk below this point! Me: So! What were your thoughts going in vs. coming out of the theater? Stixen: Thoughts going in: another fun magic movie? Count me in! Thoughts going out: Now You See Me 2? More like Now You See Me 2: Daddy Issues. This movie flopped for me in a major way. Me: I liked it overall, but I agree they played up the daddy trope WAY too much. More importantly, I really didn’t like the evil twin. Fell flat. Felt fake. Not a fan. Stixen: Absolutely! The evil twin was really overdone and too obviously falling on the gay trope. Which is a mockery of the feminine trope. In the long run this movie franchise doesn’t understand femininity: period. Manly men. So very manly. Me: This is sadly true. This film felt like it was trying to demonstrate how MANLY magic is to counteract the trope of gay magicians. Stixen: Exactly! And did you notice how the male magicians were all on the same level? They all had powers beyond belief and they were all constantly somehow thinking 100 steps ahead of each other. Meanwhile the female magician literally did joke magic. She even said it herself: she was there to fill the female horseman role. Just like Isla Fisher in the first film. Me: And the fact that they so lightly replaced Isla Fisher (and clearly considered her an expendable character) is a bad sign. Stixen: The men are able to manipulate and predict each other’s moves to the most intricate and ridiculous extent – meanwhile the female horseman is playing with pigeons. Me: I though Daniel Radcliffe was under-utilized. The evil twin just sucked up all his plot potential. I thought the characters overall were weaker than the first one. There was no suspense. Ever. I knew, without a shadow of a doubt, that all the good guys would pull through. And this is coming from a Ruffalover. Stixen: The heroes were able to predict everything to an almost god-like extent. And frankly, that knowledge made me unable to get caught up in the suspense. 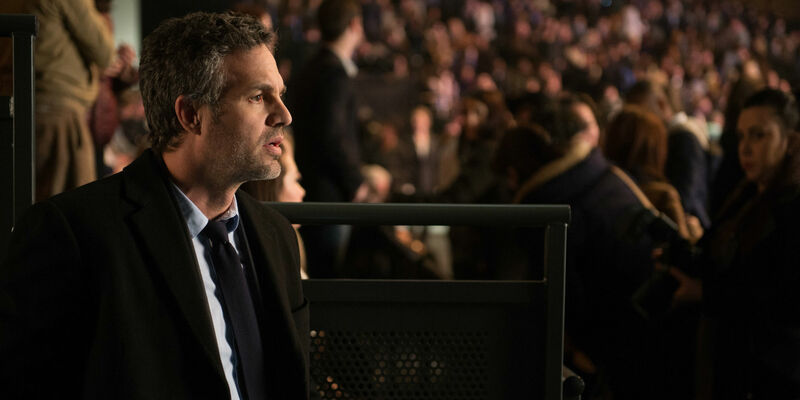 And as for Mark Ruffalo, I couldn’t take him seriously. It felt like he was playing an angsty 20 year old with daddy issues. The writers were too busy trying to make the magic the star of the show and in the mean time, they forgot to give any of the characters an inch of depth. Without that, the magic left me high and dry. Me: I would’ve liked more magic and fewer daddy issues, that’s for sure. What did you enjoy about the film? Stixen: Dave Franco! He’s so likeable and ridiculously handsome. But in all seriousness, not much. I was really excited for the set up. Our Horsemen are involved with a secret society, hiding from the police only to find that they’re locked in a battle with an unknown force that seems to be able to detect their moves and divulge their secrets. But those plot points went away pretty fast and the story went into a completely different direction. Which is a shame because I had hopes that this movie would see the Horsemen locked in an ancient battle between two warring secret societies. But not so. What did you like? Me: I was looking forward to more plot juggling and less obvious twists. Magic-vs-magic. We got tropes-vs-less appealing tropes. Stixen: I couldn’t agree more! Speaking of magic – did the magic tricks themselves bother you? I keep hoping that this film franchise will do amazing tricks that are believable. The original film featured tricks that felt like many of them could possibly be realistic. But this film took it to a whole new level. If you want to make a film about people with magical powers make an X-Men film. But I’d love to see this franchise dial down the magic aspect and give us tricks that we can actually mull over how they were done. Me: I actually think the problem was that they took the emphasis off the magic. That meant that the tricks, which are a prerequisite for the series, ended up being a little over-the-top to compensate. They were all flamboyant, but there were very few that I ever had to stop and scratch my head over. They were, by and large, painfully obvious. They were less involved in the plot and more of a garnish. Garnish is for salad. Not film. I give it two heels. Shaky heels – close to breaking under the pressure of a weak plotline.